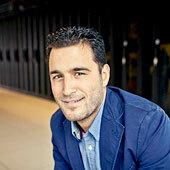 We are talking with Mustafa Aslan, the Director of SnelServer.com - the European's leader in dedicated server service. HOSTSEARCH: Hello there and thank you for being with us today. Can you please introduce yourself and your company snelserver.com? MUSTAFA ASLAN: Hey there, thank you for having me. I have been in the web hosting business since 2000. I started as a hobbyist. I was running a few projects back then and I wasn’t really satisfied with my hosting provider. It may sound a bit cocky but I believed that I could do things better so that’s when my journey began. As for SnelServer.com, it is my second web hosting company and a completely different business than my previous one. SnelServer.com was founded in 2010 and it’s all about making server management easy. We provide an easy and strong automated platform where our customers can virtually do anything. Customers can find a great range of Dutch based dedicated servers with instant setup. And they can run their business on our platform in just a few minutes. MUSTAFA ASLAN: We offer unmanaged dedicated servers with Windows, Linux, VMware and XenServer options available. HOSTSEARCH: I noticed that you have added a few new products - new servers and new operating systems to your site. Can you please tell us more about them? MUSTAFA ASLAN: We recently added Dell PowerEdge 12th generation servers with iDRAC Enterprise 7 to our dedicated server line because we think it’s a good addition to our current offer. We want to offer our customers servers with great performance, profitability and efficiency. And that’s what Dell is all about. So that’s basically the main reason for us to do more with Dell. We also want to offer our customers a variety of Operating systems in order to meet their need that’s why we’ve also added a few new operating systems like CloudLinux and XenServer. 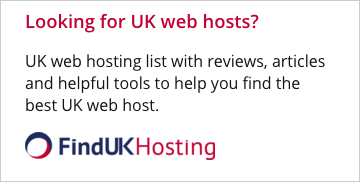 HOSTSEARCH: Do you think the Netherland's hosting market is different from the USA's hosting market? MUSTAFA ASLAN: I think it differs mostly in terms of connectivity and we also have the highest privacy standards. We have better data centers and networks in the Netherlands resulting in better server performance. So I think that would be the main reason for most customers to prefer Dutch based servers over USA servers. HOSTSEARCH: What advantages are there for you being based in the Netherlands? MUSTAFA ASLAN: As stated in the previous question, we have great networks and data centers. Due to this we are able to provide speed and high server performance to our customers. HOSTSEARCH: As Snel.com used “Dedicated KVM over IP” feature for all dedicated servers, what are the advantages of this? MUSTAFA ASLAN: KVM over IP is included as standard with all our servers. This feature gives the customer access to its server as if he is in front of it. Having full KVM access is vital when the customer cannot connect to its server the usual way. It is also useful when the customer needs to install its own ISO or need to access to the BIOS. MUSTAFA ASLAN: We don’t have our own data centers but our racks are placed in SmartDC which is located in Rotterdam. SmartDC is well known for its unique suite concept featuring dedicated suites per customer. Every suite is a mini-datacenter with private cooling, power breakers, security and capacity build-out. HOSTSEARCH: From your website, you mentioned about “Redesigned SnelPanel”. Could you tell us more about this? Also how was the feedback from your customers? MUSTAFA ASLAN: SnelPanel is our own control panel and we recently redesigned our SnelPanel. We’ve made the navigation easier and we’ve improved the overall organization. It is also mobile responsive so it functions better on mobile devices including iPhone and Android phones and tablets like the iPad. Our customers can now easily manage their account from everywhere. HOSTSEARCH: What new products can we expect from Snel.com in 2015? MUSTAFA ASLAN: Great things will happen. 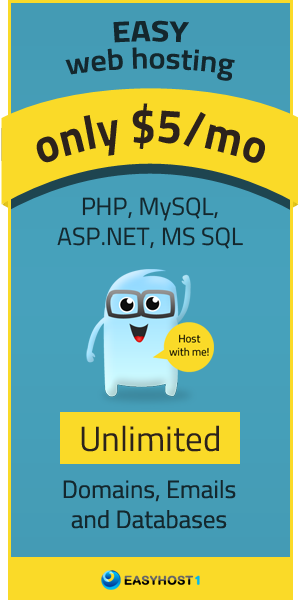 We will launch SnelVPS and SnelDomains so we are very excited. HOSTSEARCH: That will be all for my questions for today, thanks again for your time! MUSTAFA ASLAN: Thank you for this interview. It’s great to be here, we love the people from Hostsearch because they really care about our business.